Beautiful Paradise, Nevada lies in a valley in Clark County just west of the exciting City of Las Vegas. It has attracted a significant population during recent years. Today, this unincorporated community ranks as one of the most populous cities in the entire Silver State. If incorporated, it would instantly become Nevada’s fifth largest community! The town reported a total of 223,167 inhabitants at the time of the 2010 Census. Populous Henderson sits just to the southeast, with North Las Vegas and unincorporated Sunrise Manor to the north. The community’s reported census block covered a total of 46.7 square miles. The diverse population here encompasses a mixture of races and ethnicities, with White (46.3%), Hispanic (31.3%), Asian (9.5%), Black (8.9%) and Native Americans (0.8%) residents. The town boasts ready access to a variety of popular tourist attractions. In addition to nearby Las Vegas, a center for casinos, themed amusement parks, shopping, dining and live entertainment, residents travel only a short distance to enjoy many recreational activities. 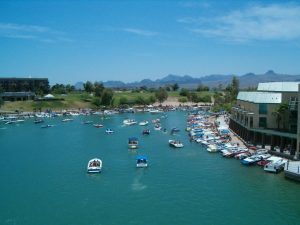 For instance, the Lake Mead National Recreation Area, Valley of Fire State Park and the Las Vegas Motor Speedway all draw visitors from this location. Perhaps in part due to its proximity to so many tourist attractions, the town sustains a slightly higher than average crime rate for both violent crimes and property crimes. This community spends slightly less than the national average on education. Although the majority of residents over age 25 have graduated from high school, slightly less than a quarter hold a college degree. Several colleges and universities offer classes within a 20 mile radius of this community, however, including UNL’s large Las Vegas campus. In 2010 at the end of a national recession, the unemployment rate here stood above the national average; however, employment rates have risen steadily since that date. The majority of employed residents work in the hospitality and restaurant industries. Retail, construction, entertainment and transportation sectors all employ significant numbers of local people, as well. In 2015, the estimated median household income here stood at $41,646, slightly below the state average. Today, just like nearby Sunrise Manor, Whitney and Enterprise, as an unincorporated town Paradise falls under the jurisdiction of the Clark County Commission. A local Town Advisory Board offers input from residents. The community’s unincorporated status means the population pays significantly lower property taxes than most nearby homeowners in incorporated Las Vegas. This situation has likely contributed to the town’s rapid growth during recent years. A new state law unsuccessfully attempted to include several unincorporated communities in this area within the City of Las Vegas in 1975, but legal action overturned that effort. Between 1970 and 1980, this town witnessed a population explosion, ballooning from 24,477 residents to well over 84,000 within the space of a single decade according to United States Census records. The population here has continued to climb during every subsequent national census. Its unincorporated status does mean outlining the borders of this robust, rapidly expanding, community sometimes proves challenging. (Census figures do not necessarily always coincide with the town’s exact borders.) Busy McCarran International Airport actually falls within this community, which today adjoins portions of downtown Las Vegas. During the most recent national census, men outnumbered women here by about 9%. The town reported a median age of 35, with a comparatively low number of seniors (just 11.1% of the population had reached age 65 or above). In mid-February,2017, the Zillow.com website reported the average value of a house in this unincorporated, youthful community stood at $187,000. Previously, in 2014, another site reported the median price stood at $159,009. Prices do vary considerably based upon the type of housing. For instance, in 2015, a mobile home here possessed a median value of $58,183, while duplexes commanded a median price of $278,883. Rental prices also vary based upon the type, style and location of housing. Landlords reported a median rent of $874 in 2015 in this community. The Zillow.com website listed rentals in February, 2017 across a broad spectrum of requested rental prices, ranging from a low of $475 for a small efficiency apartment to over $11,000 for a mansion. In general, standalone houses here command higher rents than either apartments or rental condos. An experienced property management company may furnish valuable assistance to landlords seeking to offer properties for rent in this location. Contact us soon in order to obtain a detailed market analysis of your rental property! Our property management team specializes in residential areas throughout Paradise, NV. We offer multiple services to take your rental property and convert it into reliable income. We have a thorough screening process that helps to identify the right tenants for your property. Our team works hard to keep both parties happy through effective communication, bullet proof lease agreements, and timely monthly rent collection. We offer maintenance services to enhance the property and ensure that it will retain or increase in value. We oversee everything, allowing you to sit back and relax and know that your property and your tenants are in good hands. Contact us today if you are ready to receive a comprehensive analysis of your rental property and to inquire about our Paradise area property management services.